The annual Mince Pie and Mulled Wine Evening for parents of First Year students took place on Tuesday the 4th of December. The event began with a concert showcasing the musical talent of students from throughout the school. The audience was treated to performances by the school choir, the Maryfield Wind Ensemble, the First Year Music class and a variety of soloists. The varied and entertaining programme certainly captured the Christmas spirit. The evening concluded with a reception hosted by the Maryfield Parents’ Association. A very enjoyable evening was had by all. Once again Maryfield College has managed to fill the list of 133 children for the Christmas toy appeal for the SVP. All these toys will go to local conferences and make Christmas a little nicer for people who have little. 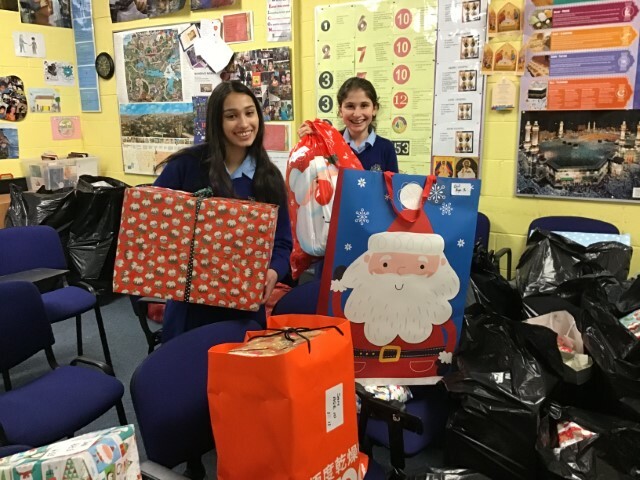 Thank you to all staff, students and the Parents’ Association for all the wonderful toys donated. Maryfield College Parents Association in partnership with school staff organised a wonderful information afternoon for Maryfield senior cycle students on future career and college options on November 13th in the school sports hall. Maryfield can be very proud of its seventeen representatives who recently attended the Poetry Aloud Competition in The National Library. Four places were awarded to successful participants to go through to the semi-finals and Maryfield secured two of these places. 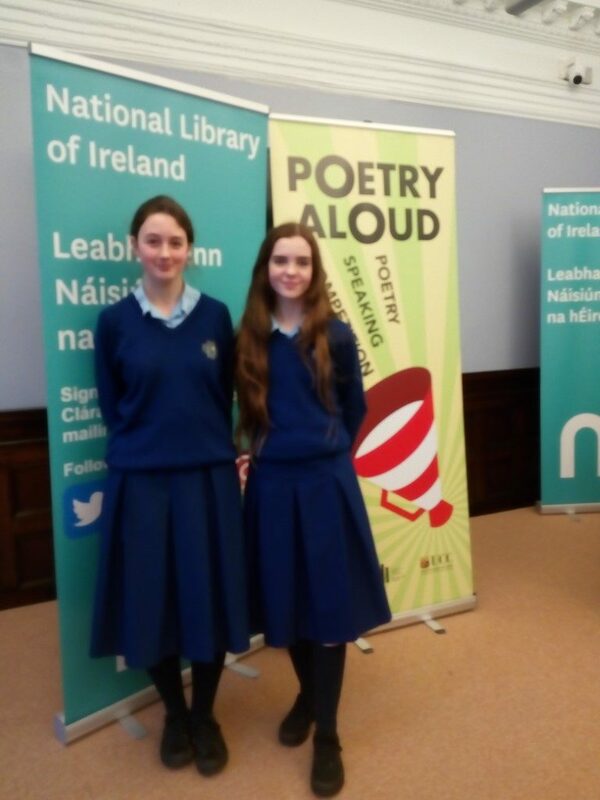 The successful students were Aoife Kehoe and Sara Coogan. 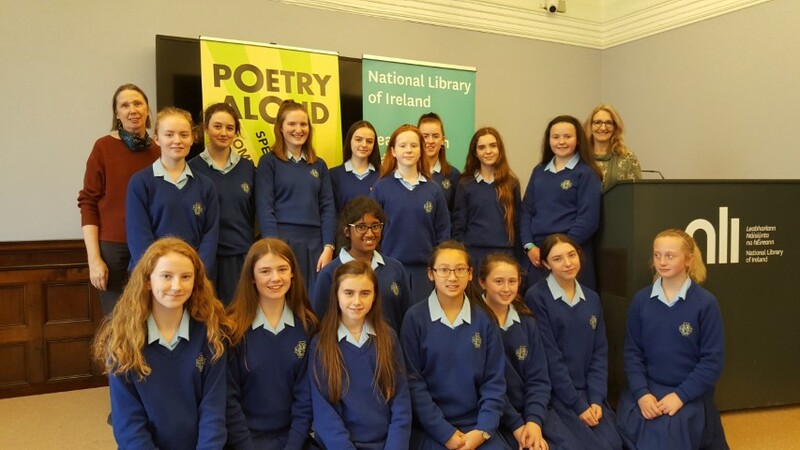 Congratulations to the other fifteen students who articulated flawlessly from memory two poems from the Library’s prescribed anthologies of poetry. Already we are looking forward to the semi-finals in November. Thank you to all students and staff for their support and for making this event so successful. Our 5th Year students enjoyed a fantastic bonding day at Avon Rí Adventure Centre in Blessington. With 5th Year students progressing either directly from 3rd Year or via Transition Year, it is important that the students get an opportunity to know each other and to identify with their new year-group. The students threw themselves enthusiastically into the wide variety of activities on offer, enjoying the beautiful October weather and the magnificent scenery. New friendships were formed and old ones consolidated. Undoubtedly, this was a very positive and enjoyable experience for all involved. Some members of the Global Issues Group attended a workshop on World Food Day last Friday 20th October. 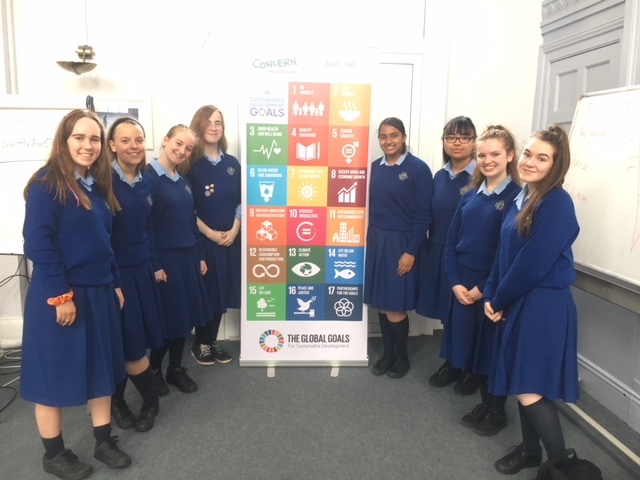 The workshop was organized by Concern Worldwide and offered the students an opportunity to engage with students from other schools on the topics of sustainable development goals and the challenges surrounding global hunger.